An Israeli blockchain intelligence firm claims to have identified proof of donations in Bitcoin (BTC) reaching Hamas, the de facto ruling authority of the Gaza Strip in Palestine. The development was reported by Israeli financial daily newspaper Globes Feb. 3. Globes reports that a BTC wallet address for receiving the funds was first published Jan. 31 to the organization’s Telegram channel. 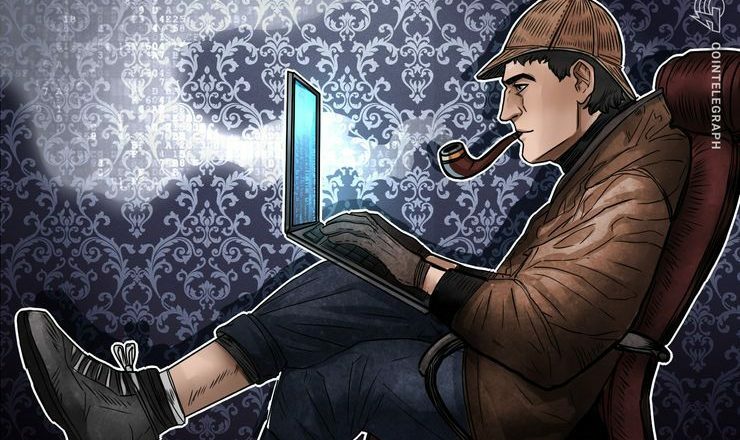 The address has subsequently been identified by blockchain intelligence firm Whitestream as one hosted by U.S. crypto wallet service provider and exchange Coinbase. A second, non-Coinbase address was reportedly published Feb. 2. As previously reported, a spokesman for the Hamas’ military wing had last week appealed to the organization’s supporters to make donations in Bitcoin, in an attempt to combat financial isolation. Hamas, which has ruled the Gaza Strip since 2007, comprises a social service arm “Dawah,” and a militant faction “Izz ad-Din al-Qassam Brigades.” The group is deemed to be a terrorist organization, in whole or in part, by several countries and international organizations — including the United States and the European Union. Russia, Turkey and China are among those who do not officially designate the group as a terrorist entity. Whitestream estimates that around $2,500 in donations were made within two days of the first wallet address publication. One of the donations to the first address has reportedly been traced to a crypto trader in Khan Yunis in the Gaza Strip, alongside donations identified from addresses hosted by Hong Kong-based exchange Binance and Russian platform Vilkov. Between Feb. 2 and Feb.4, further donations have been traced from a Bitcoin wallet connected with Cayman Islands-registered CoinPayments, as well as another one connected with Binance. Donations to the Brigades’ second wallet have reportedly included donations from wallets hosted by U.S. exchanges Bittrex and Coinbase, Binance and Vilkov, as well as coming via mixing services provider coinMixer.io. The latter mechanism mixes funds’ origins from multiple wallet addresses, making it more difficult to identify their original source. As Globes notes, exchanges operating in jurisdictions that designate the group as a terrorist entity may be prompted to block the transactions, as they continue to be monitored and identified. Whether any such action has already been taken has not been confirmed. Many global banks notably already bar services to Hamas via their Anti-Money Laundering (AML) and illicit terror financing prevention mechanisms. As reported, a U.S. congressional hearing on terrorism financing last fall concluded that in many instances, fiat currencies provide more robust anonymity for illicit fundraising than crypto.